I want to give you some examples of this. The Old Testament's full of them. Isaiah 31:4-5, "As the lion or the young lion growls over his prey, so will the Lord of hosts come down to wage war on Mount Zion. The Lord of hosts will protect Jerusalem. He will protect and He deliver it will pass over and He will rescue it." 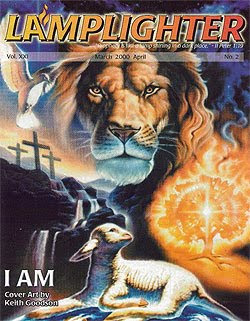 This example from Jeremiah 25:30 I love, "The Lord will roar from on high and utter His voice from His holy habitation. He will roar mightily against His foe. He will shout like those who tread the grapes against all the inhabitants of the earth." Consider this passage from the minor prophet Hosea in chapter 11 beginning with verse 10. "The Lord will roar like a lion indeed He will roar, and His sons, the Jewish people, will come trembling from the west. They will come trembling like birds from Egypt and like doves from the land of Assyria and I will settle them in their houses." Also consider this one from Joel chapter three where Joel speaks of the battle of Armageddon. He says, "Multitudes, multitudes, in the valley of decision. For the Day of the Lord is near in the valley of decision. The sun and the moon grow dark and the stars lose their brightness and the Lord roars from Zion and utters his voice from Jerusalem and the Heavens tremble but the Lord is a refuge for His people and He is a stronghold to the sons of Israel." Wow! In the last installment of "Jesus the Lamb and Lion," we will look at the role of Jesus Christ as the Lamb and the Lion in upcoming prophetic events. LOL Hartdawg - "i have a hard time fearing a God i can beat up." I think a large part of it we want people to like us. The world likes the "wimpy" Jesus, the God hartdawg could beat up :-). He's warm and fuzzy and gentle. If we were to represent the Lion Jesus...Katie, bar the door! People don't like Him. He's mean. He makes you feel bad. He convicts of sin.